Sales ledger workers have an important job within a credit control team, so it is crucial that care is taken to select the best candidates for these roles. When recruiting for these vacancies, you should consider the day-to-day tasks a sales ledger employee will undertake and look for people with the necessary qualities to perform this role successfully. For example, a sales ledger worker must process client payments and ensure the amounts are correct, making a note of any discrepancies. Mistakes in this area can have serious consequences, so the successful applicant must have a keen eye for detail and the organisational ability to look after several accounts at once. If they are to stop mistakes, they will need to possess strong numeracy skills. This is a basic requirement in any credit control position. They must also be able to work well with other people, as this will form a key part of their day-to-day activities. Liaising with other members of the credit control team is necessary to ensure each account has been settled correctly, while it may also be necessary to speak to clients about outstanding payments. 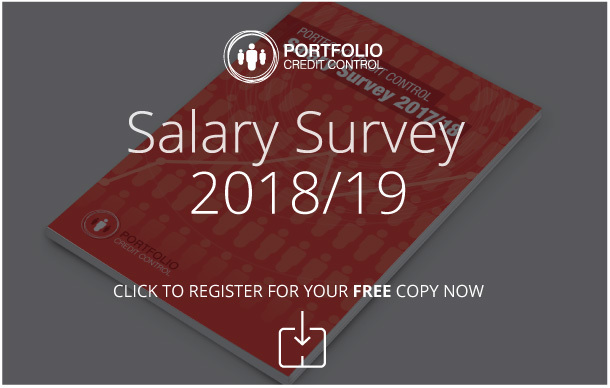 If you are seeking someone to fill credit manager roles, or perhaps a candidate with the potential to eventually make this step up, you should look for someone with a wealth of industry experience and a clear passion for the credit control industry. Our dedicated recruitment consultants will be on hand to lend their experience to your search for top credit control talent. We tailor our approach to the specific needs of your business and know what is necessary to unearth the highest quality candidates. We will discuss your needs with you beforehand, getting a feel for the role you want to fill as well as your company ethos as a whole. This will allow us to choose only the most suitable applicants from our high quality talent pool. Once we have ascertained who would make a good professional and personal fit for your business, we will send the best candidates to you for an interview, where you can then make a final decision on who to hire. Portfolio Credit Control can help with a broad range of credit control positions, including accounts receivable jobs, credit controllers and jobs in debt recovery. Call our London office on 020 7650 3199 for more information.